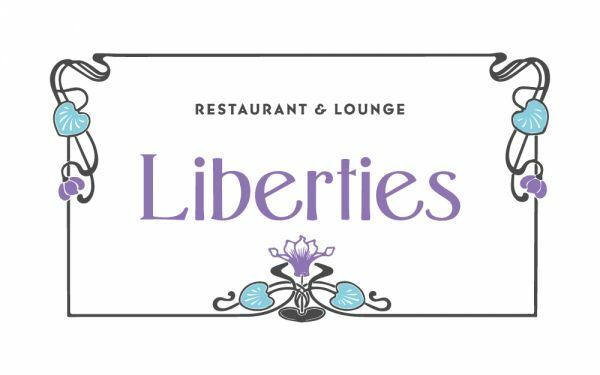 Liberties Restaurant & Lounge name was inspired by Archibald Knox, one of the island's most famous sons...The man who created Liberty's legendary Art Nouveau style. A superb open plan space with décor inspired by Knox's own designs – offering comfortable, laid back dining overlooking the Broadway and Villa Marina, with a menu sourced from the finest Manx ingredients. A light lunch, an intimate evening meal, a pre-theatre snack: Liberties Restaurant & Lounge is designed to please. We offer a wide variety of dishes from bar snacks to juicy steaks and everything in between, using as much Manx produce as possible. The restaurant is open 7 days a week for residents and non-residents alike. All of the restaurant and bar meals can be served in guest rooms. We also serve meals outside the restaurant opening times. Whether you want to relax with a cocktail after a busy day at work, gather with friends for pre-theatre drinks or have an informal meeting over a cup of coffee, our lounge bar has a perfect laid-back setting for any occasion. The bar is open to the public and serves a wide variety of drinks, cocktails and bar food.